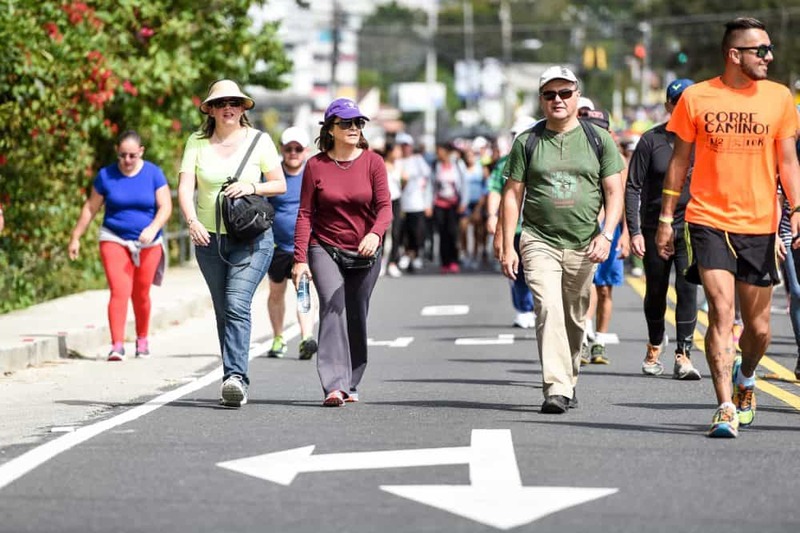 The masses descend on Cartago for the annual pilgrimage to the Basílica de los Ángeles on August 1, 2015. 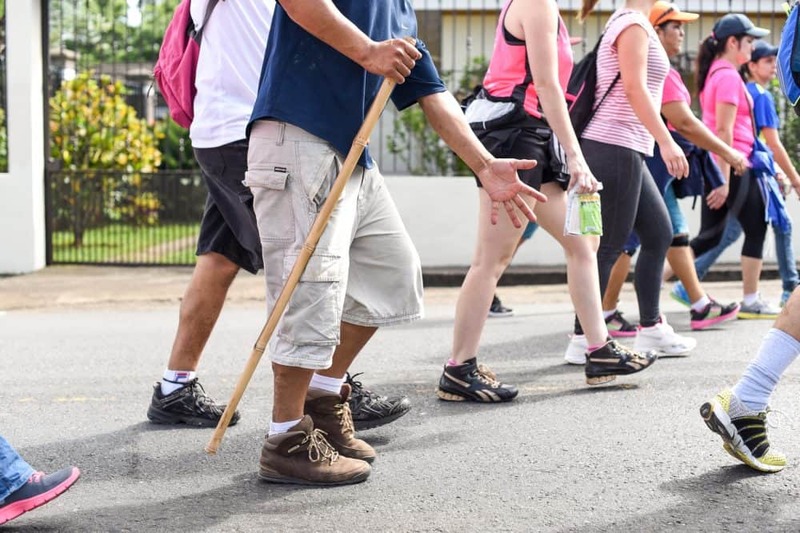 Somewhere behind him in the moving crowd is a tired-eyed college student who said she’s walking to fulfill a promise to her cancer-stricken mother. 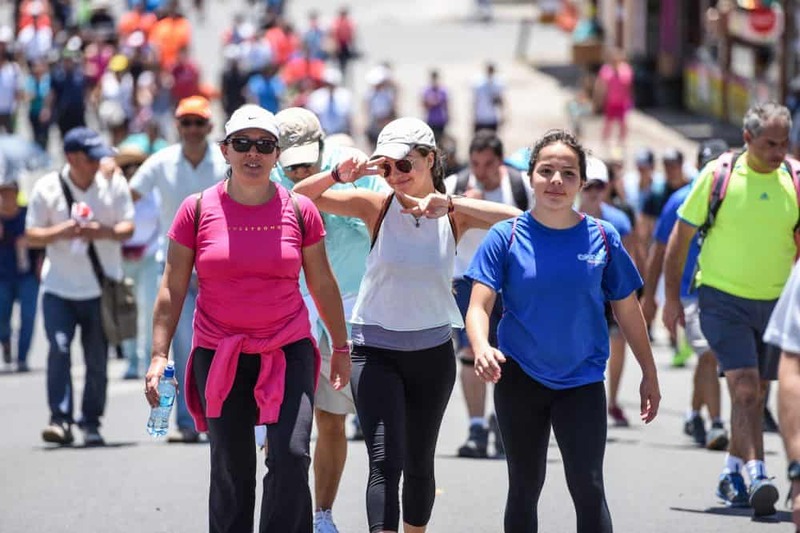 She has been trekking the romería three days after leaving from San Carlos in Alajuela with a group of friends. 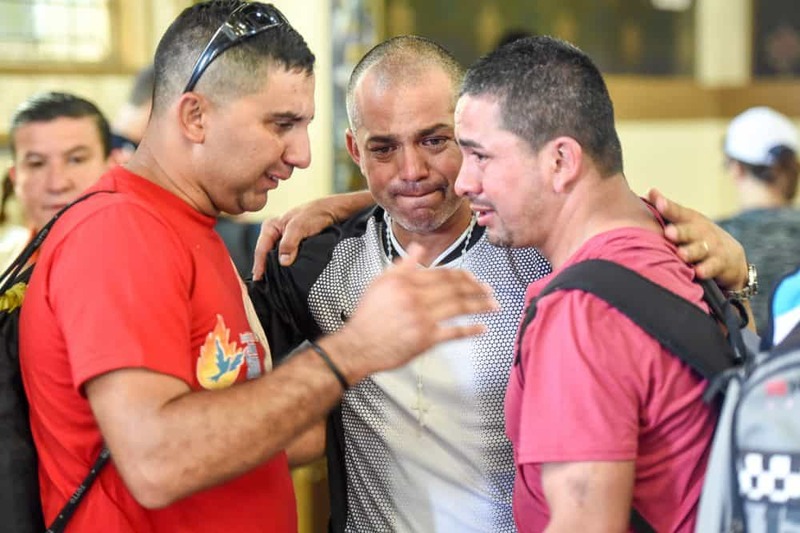 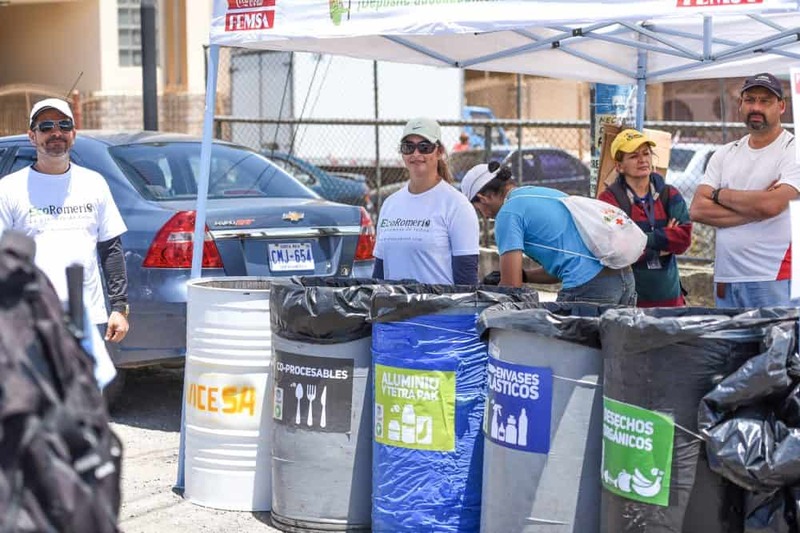 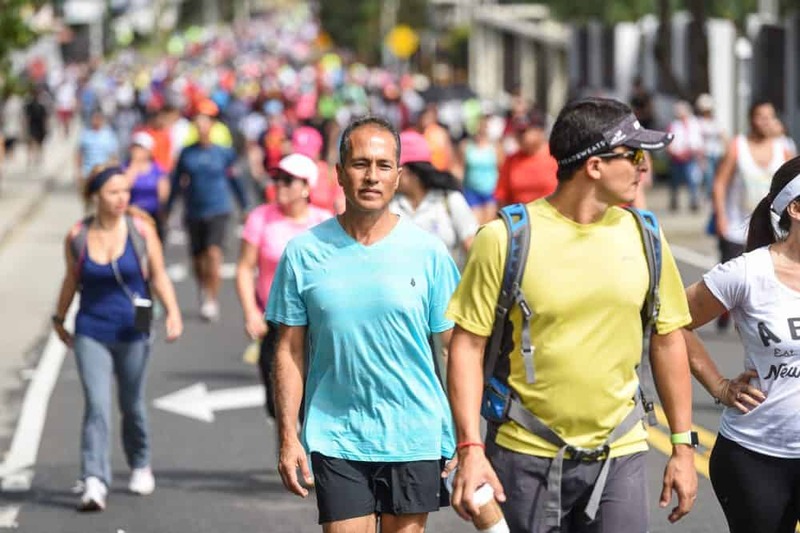 Others come from even farther to make good on different types of promises, such as Franklin Arturo Garita Quirós, from Paquera, Puntarenas, who was sued by the Environment Ministry in 1986 after he was accused of deforesting his property. 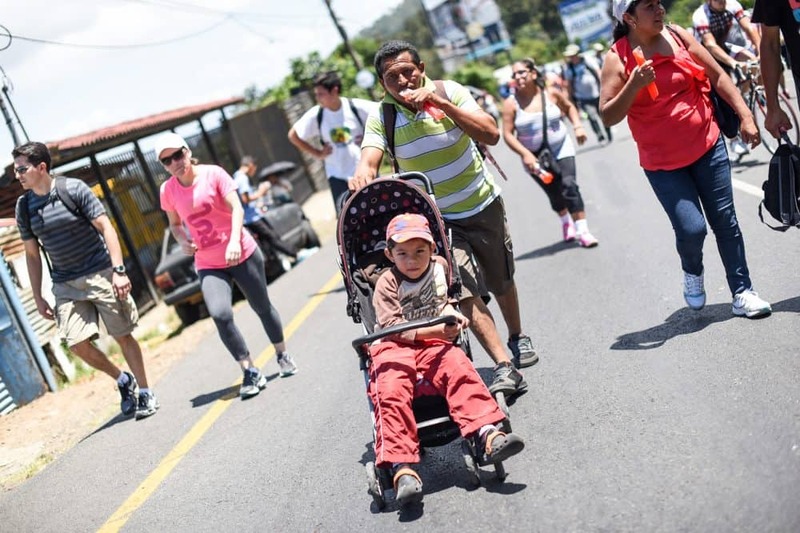 He made a promise to the Virgin of Los Ángeles, known as “la negrita,” that if he won the case, he would walk every year to her statue in Cartago, as he’s done for the past 29 years. 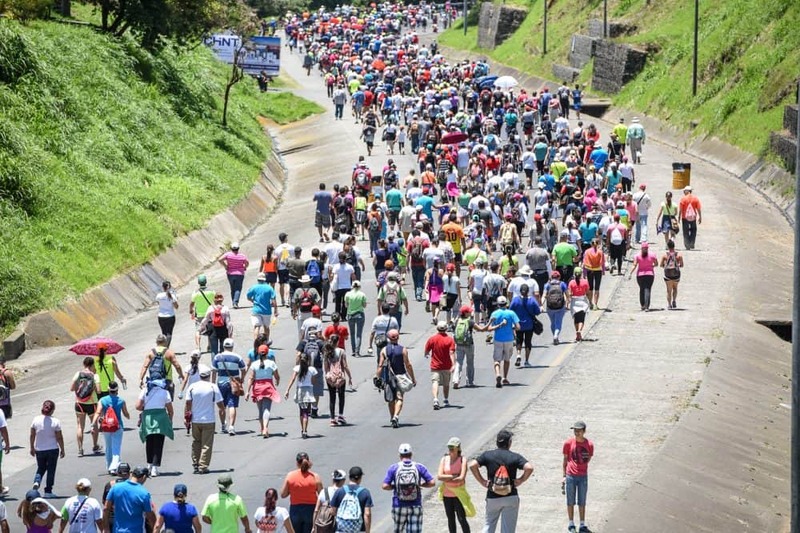 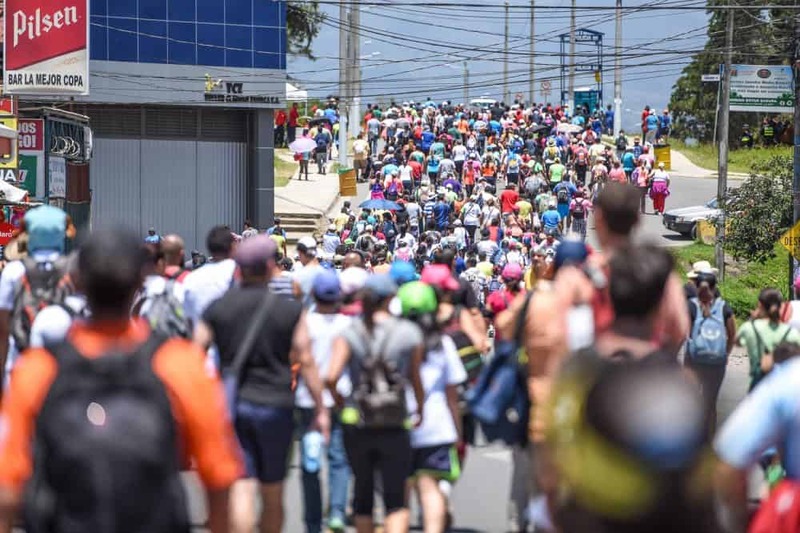 These are just three pilgrims among the estimated 2 million who make the journey to the Basílica, each carrying their own reasons to pay respects to the virgin. 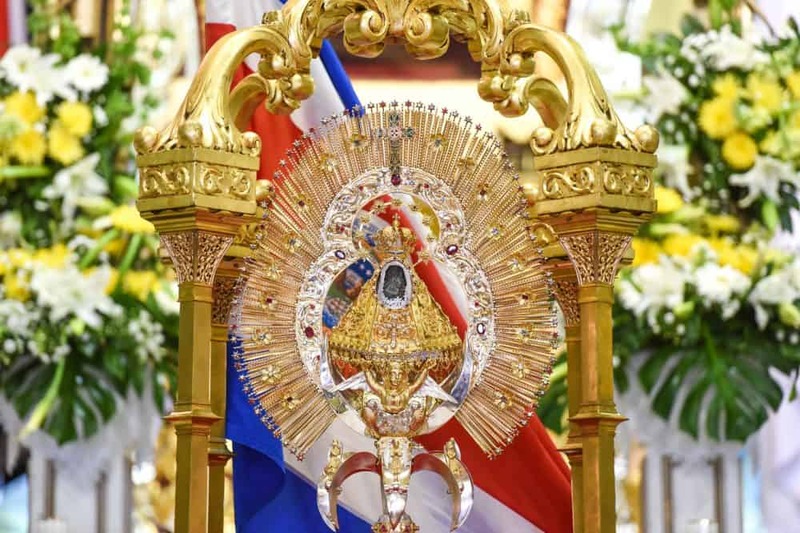 They’re drawn in by her tiny stone effigy, which is swallowed in an elaborate frame of jewels and gold at the front of the auric-domed church. 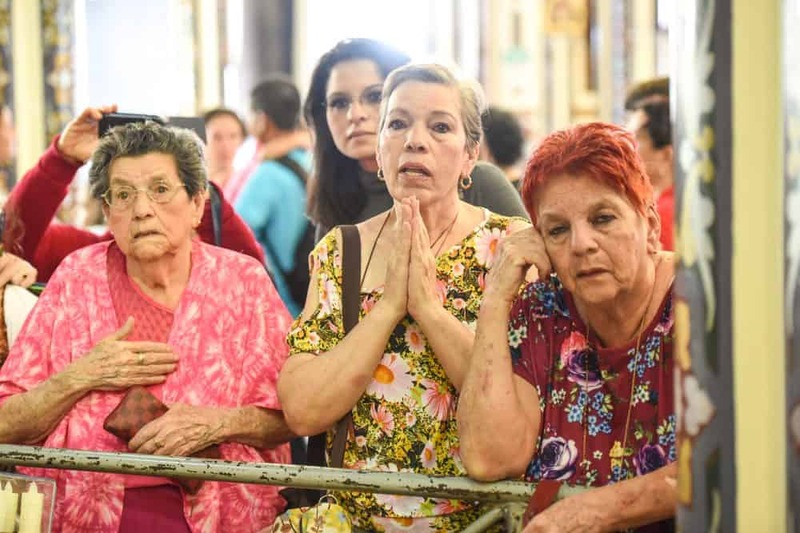 Once inside the ornate Basílica, many travelers get on their knees and inch their way up to the alter, where the virgin remains protected under a glass case. 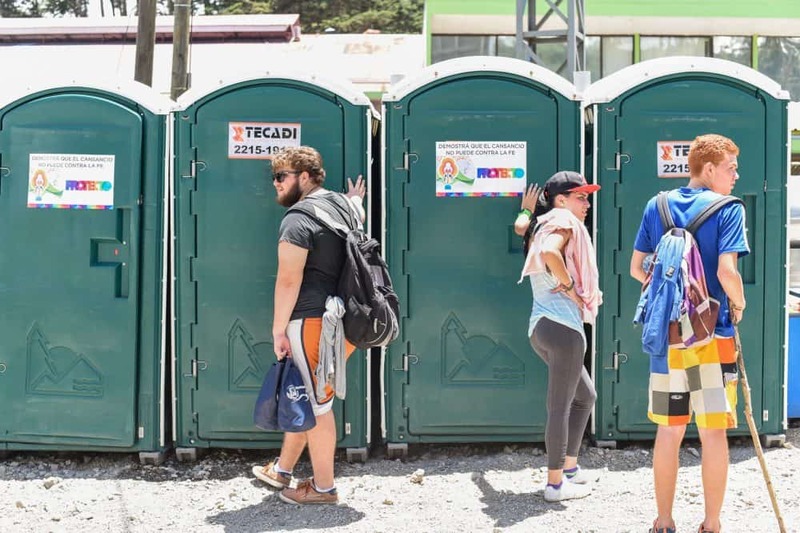 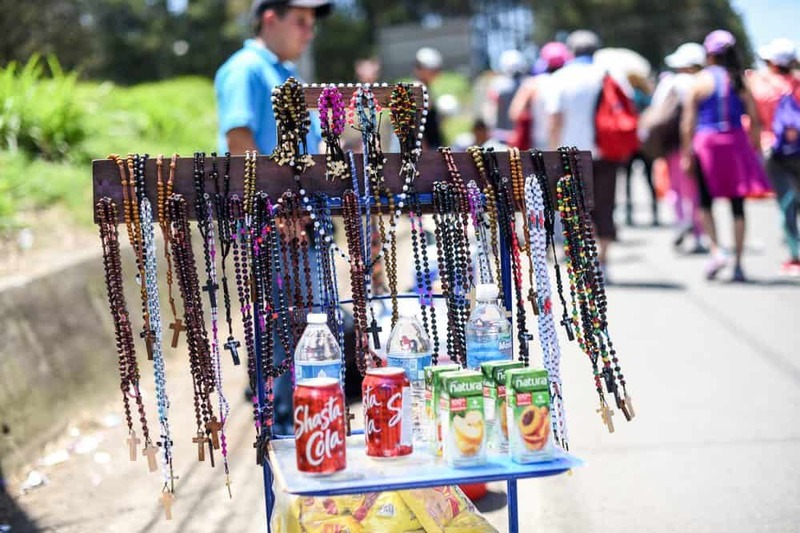 In honor of the Day of the Virgin of Los Ángeles on Sunday, The Tico Times has put together the following photo report to chronicle the pilgrims’ unique and extraordinary paths to Cartago. 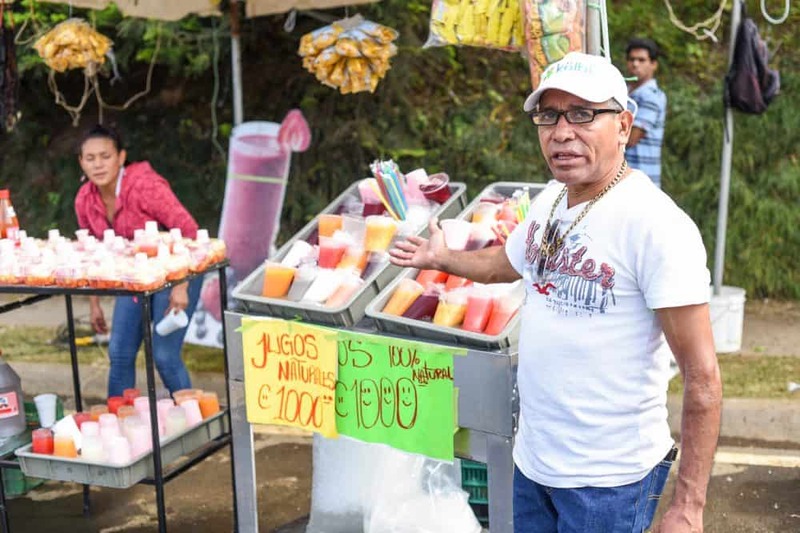 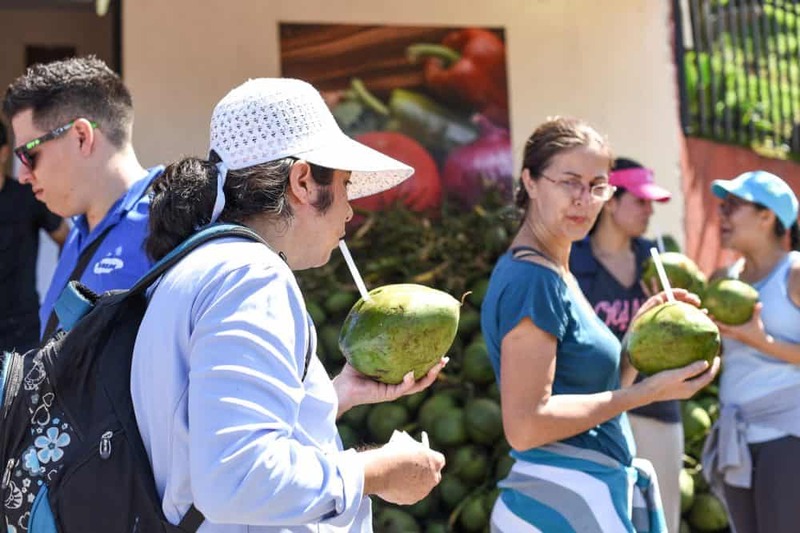 A vendor along the route sells natural juice and fruit during the 2015 Romería on August 1, 2015. 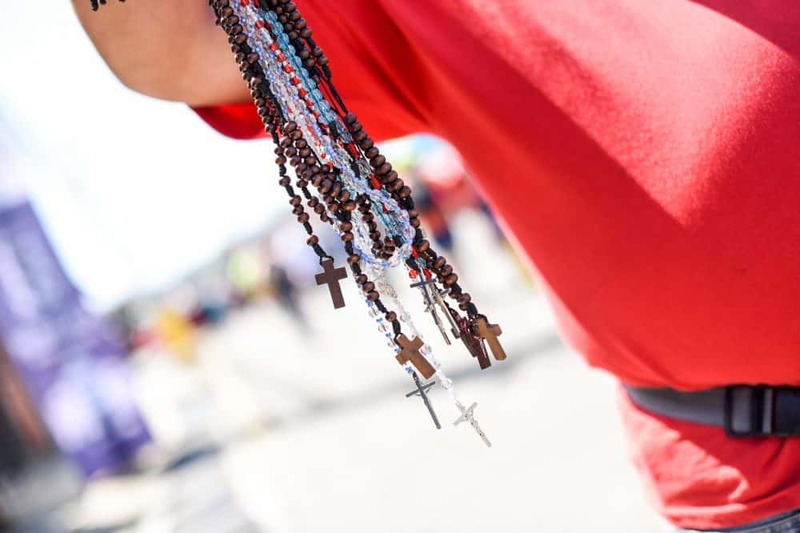 Rosaries for sale at the 2015 Romería, August 1, 2015. 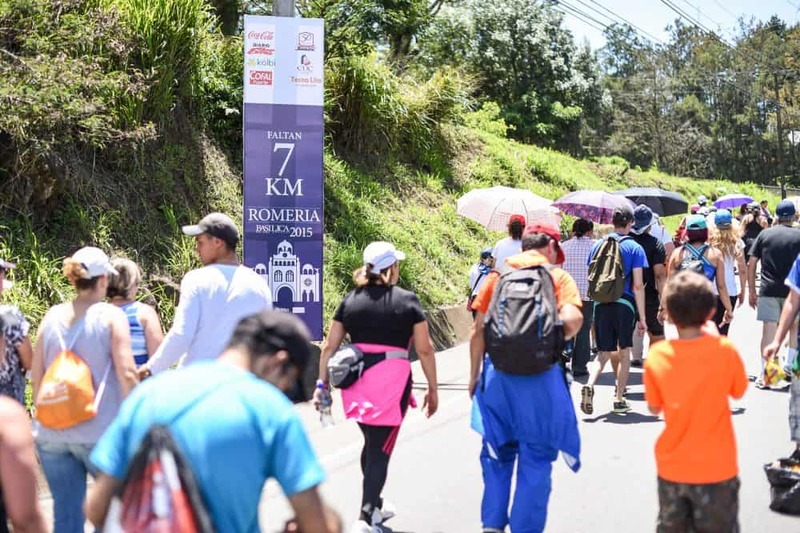 A few of the pilgrims sprinted their way to the Basilica de los Ángeles in Cartago, during the 2015 Romería, on August 1, 2015. 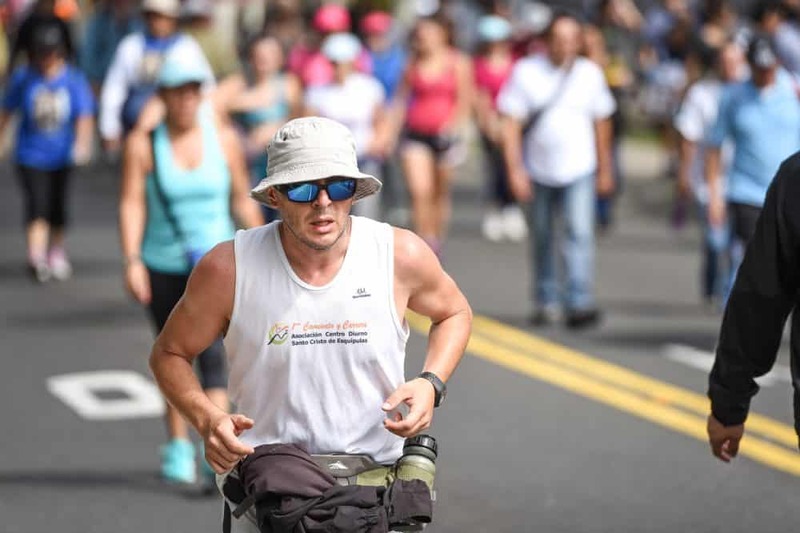 Stopping for water along the way during the 2015 Romería, August 1, 2015. 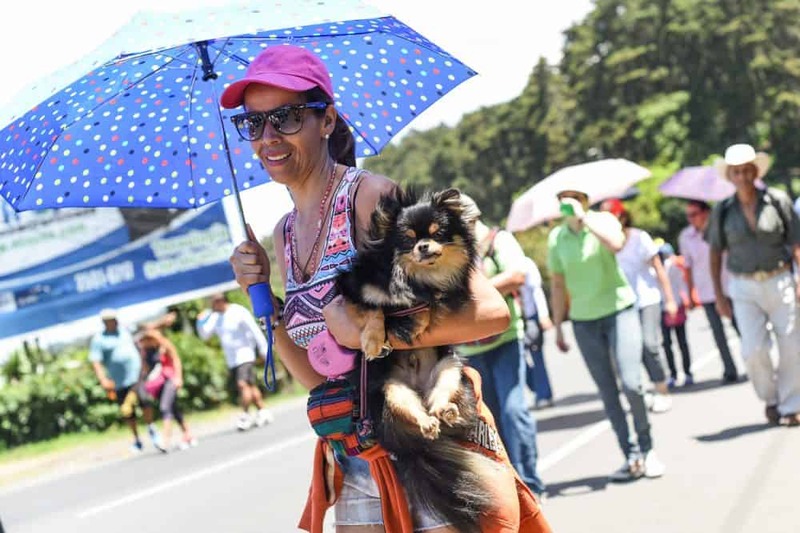 A pilgrim takes a break for a quick calf massage during the 2015 Romería, August 1, 2015. 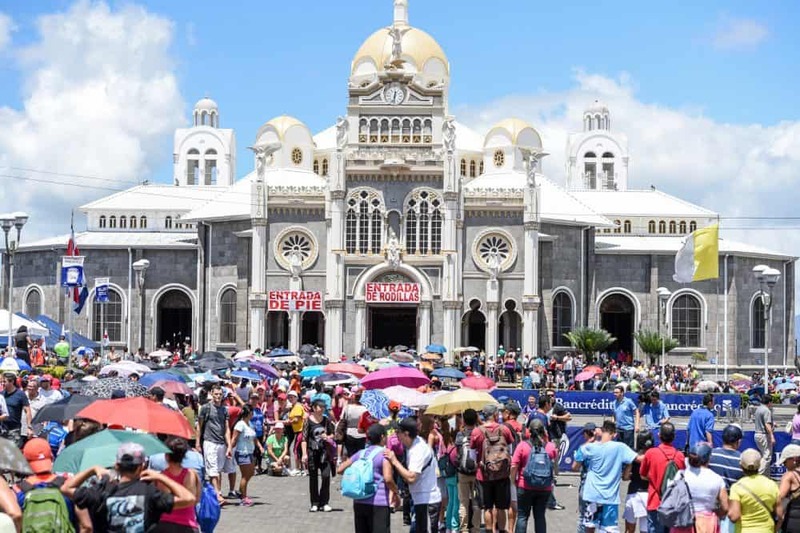 The Basílica de los Ángeles in Cartago. 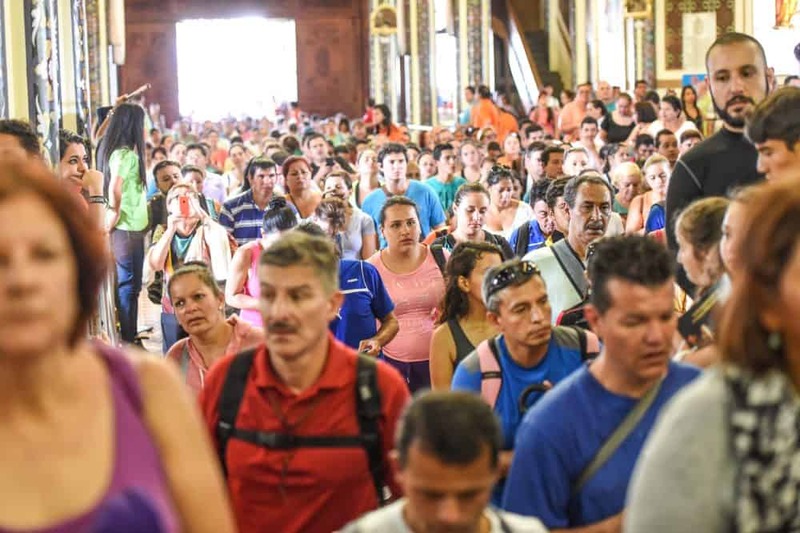 Pilgrims enter the Basílica de los Ángeles on their knees during the 2015 Romería on August 1, 2015. 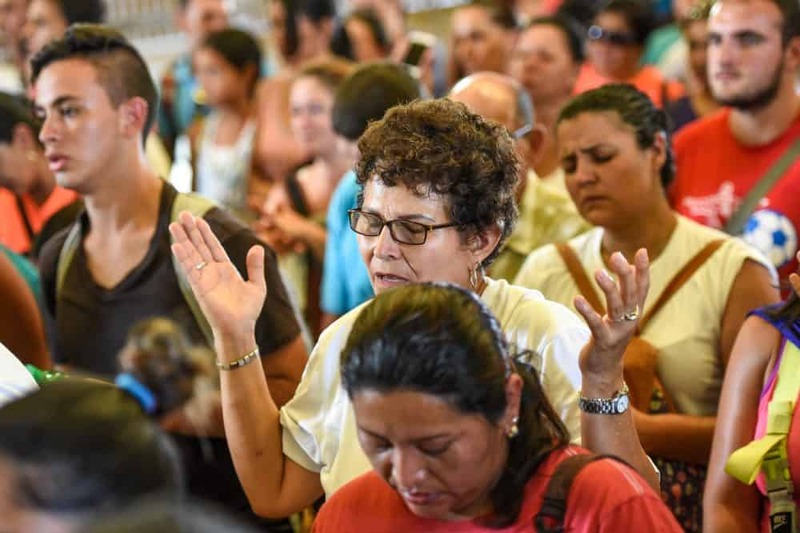 La Negrita is displayed inside the Basílica de los Ángeles. 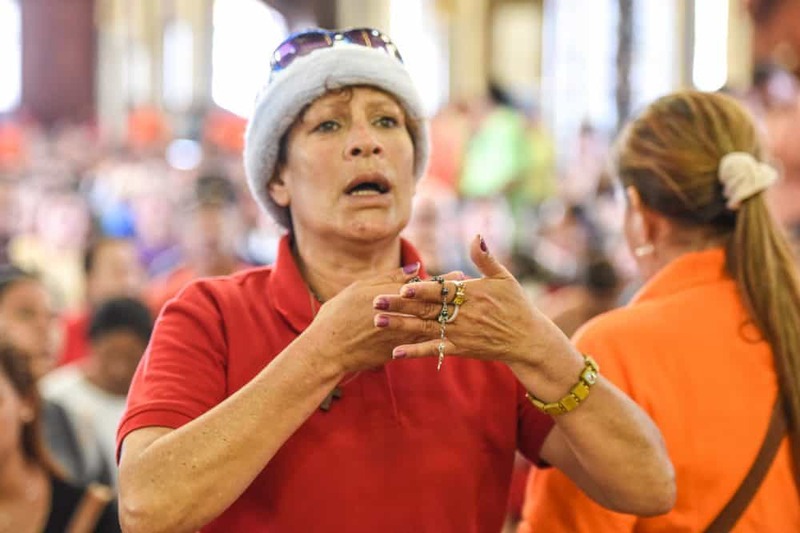 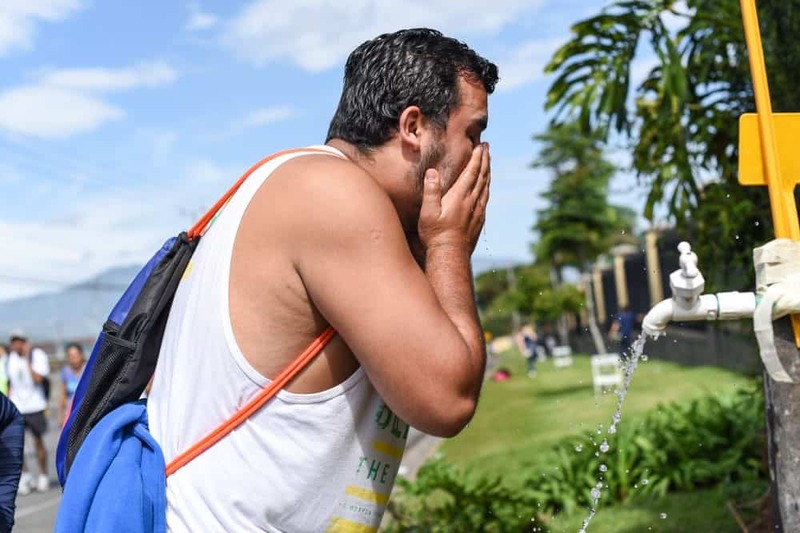 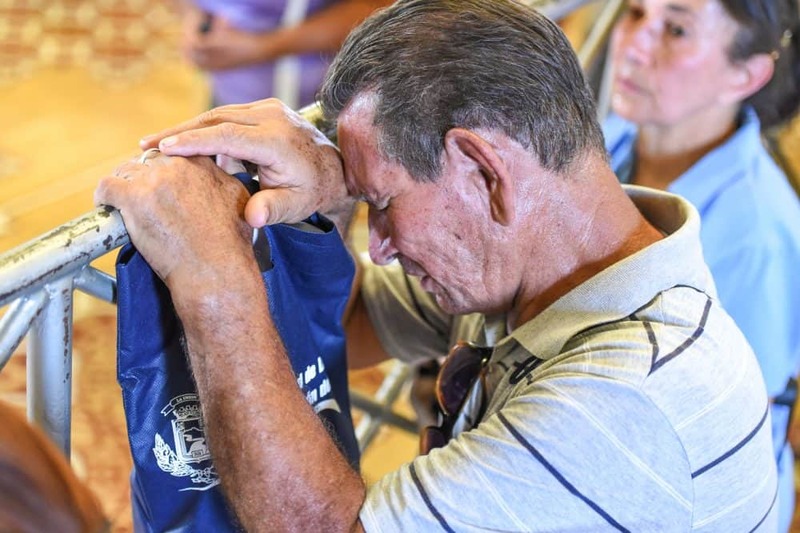 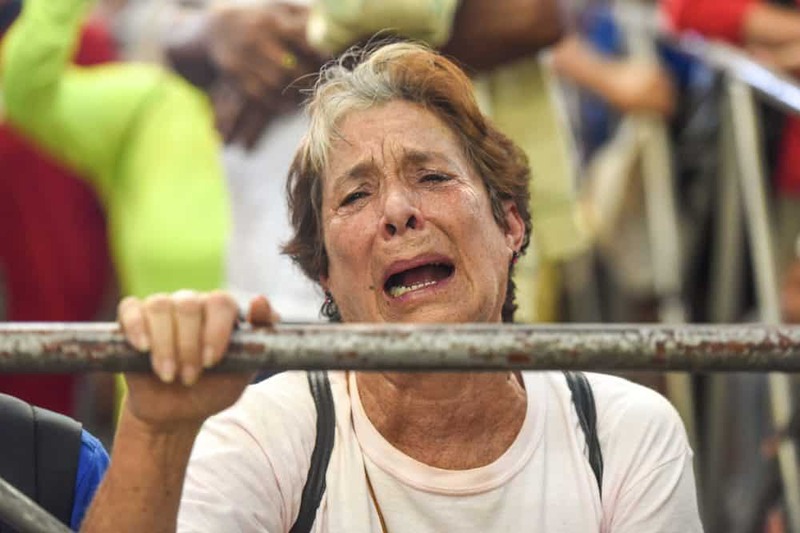 A pilgrim prays to La Negrita to cure a sick family member during the 2015 Romería, on August 1, 2015, in Costa Rica.